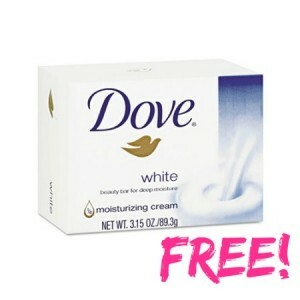 Hey Safeway shoppers…head over and add this FREE Dove Bar Soap Coupon to your Just For U Card! 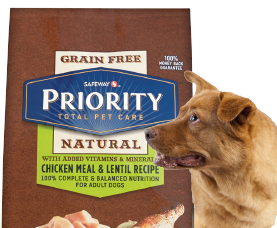 If you’re a Safeway shopper, head on over to request a coupon valid for aFREE Bag of Priority Total Pet Care Dog or Cat Food – a $10 value! Just fill out the short form and you’ll receive your coupon within 2-3 weeks! Visit Safeway or affiliate stores and make money on Starbucks Refreshers. 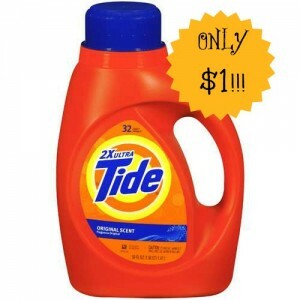 Safeway shoppers check it out…head in tomorrow, (8/1 only), for this HOT one day only deal going on on Tide! 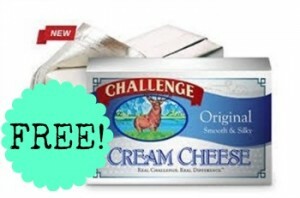 Use a coupon with a sale price and get free Challenge cream cheese at Safeway! 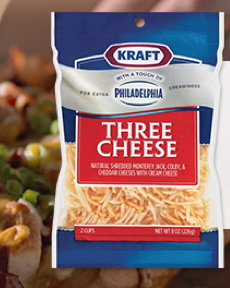 If you’re a Safeway shopper, head on over to request a coupon valid for aFREE Pack of Kraft Natural Shredded Cheese – a $3.99 value!Just fill out the short form and you’ll receive your coupon within 2-3 weeks! 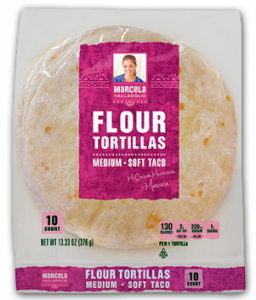 If you’re a Safeway shopper, head on over to request a coupon valid for a FREE Pack of Marcela Valladolid Flour Tortillas – a $2.39 value! Just fill out the short form and you’ll receive your coupon within 2-4 weeks! Log into your Just for U account to load an offer for a FREE Clear Scalp & Hair Therapy 3 oz to your card. Safeway shoppers – score this freebie if you are a Just for U member (it’s FREE! 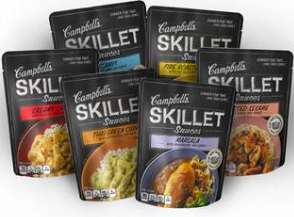 )…log into your account and see if you received a eCoupon offer for a FREE Campbell’s Skillet Sauces 9oz – valid through 4/30. 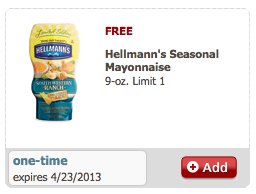 If you are a Safeway/Affiliate store shopper and a Just for U Member then be sure to check your account to see if you got the FREE Hellmann’s Seasonal Mayonnaise offer. You can find it located under the ‘condiments’ category. Coupon is valid through 4/23. Thanks, Extremely Wild for Savings!